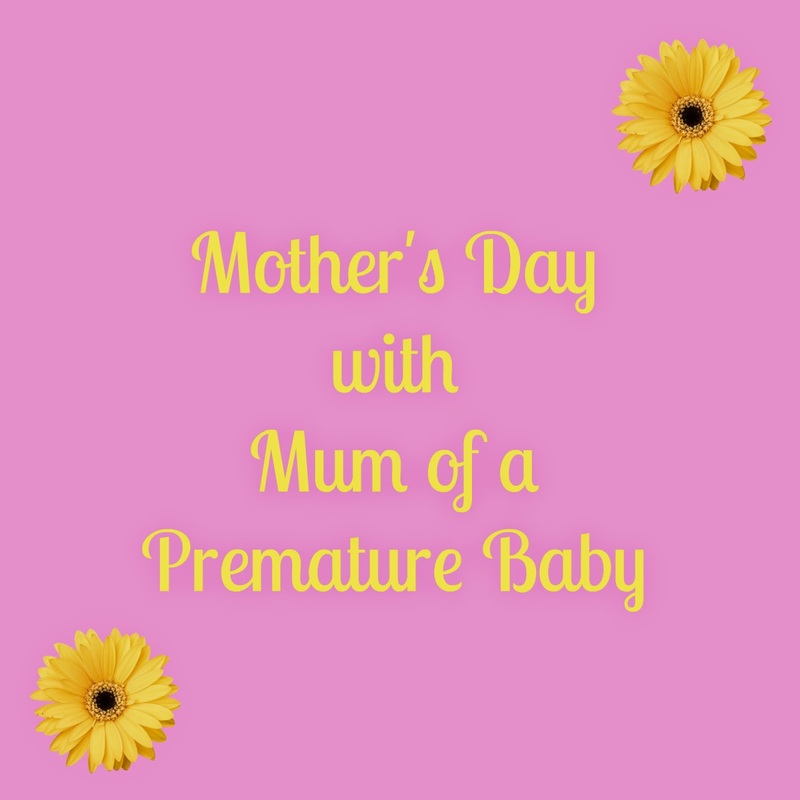 I find that when it comes to occasions such as Mother's Day, people feel obligated to buy big, expensive presents that they can't really afford and others feel bad that they can't buy anything deemed "nice" if they'r short on cash. I've put together a little guide of gift ideas that are lovely but won't leave you out of pocket. 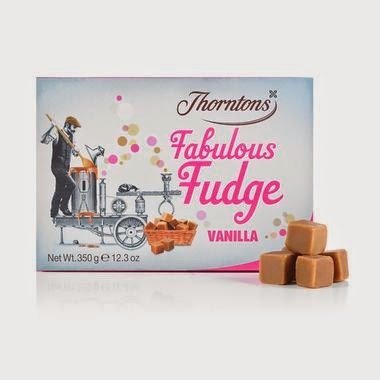 Thorntons have a lovely range of smaller chocolate gifts that are sure to satisfy a sweet tooth. 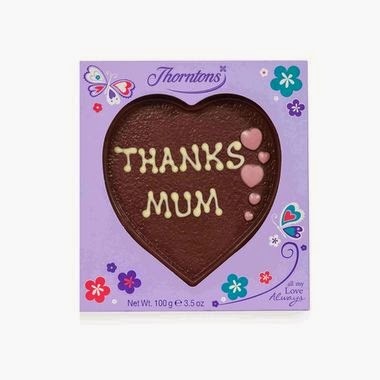 You can get their 63g 'I Love Mum' cups for only £3.50, their 100g Heart Plaque or 350g Vanilla Fabulous Fudge for £5.00 each. 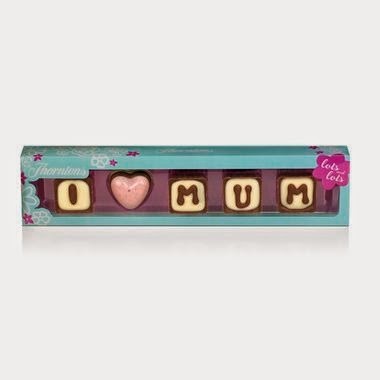 Hawkins Bazaar have a fantastic selection of unconventional Mother's Day gifts. I'm forever taking photographs of my children but very rarely do we have pictures together. 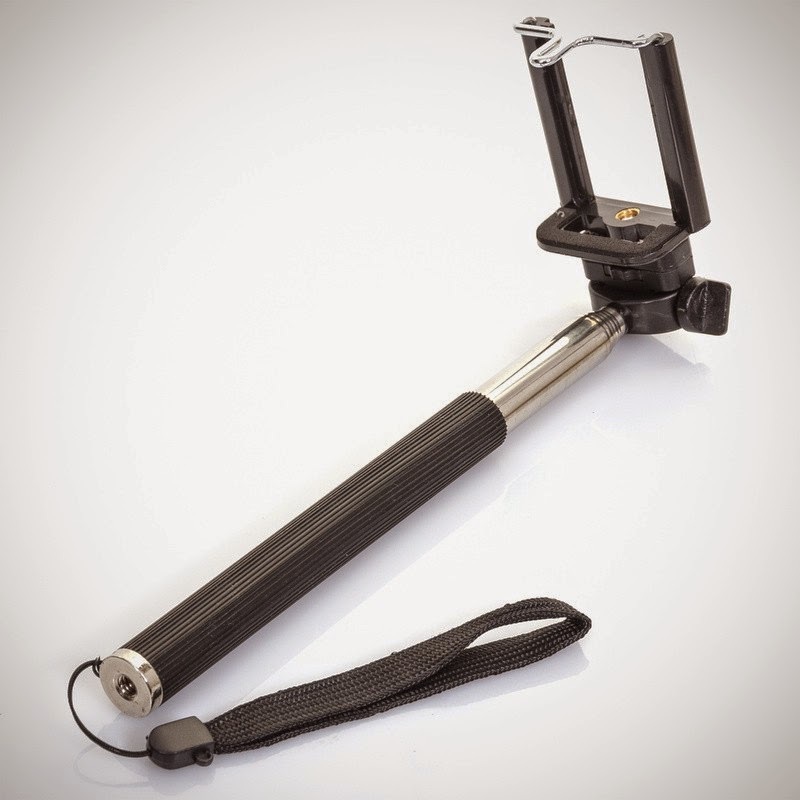 If your mum is anything like me and into gadgets, a selfie stick (£7.00) would be a great idea as she can have lots of family photographs (including her) that aren't just faces! 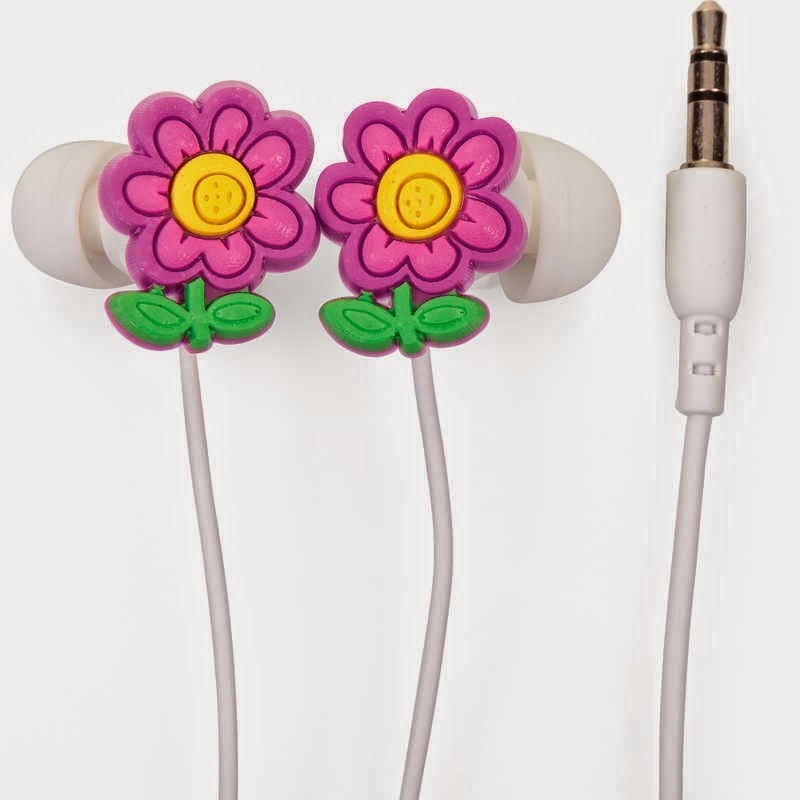 For the music-loving mum, you can treat her to some very cute Flower Earphones (£3.49) so she can listen in style. 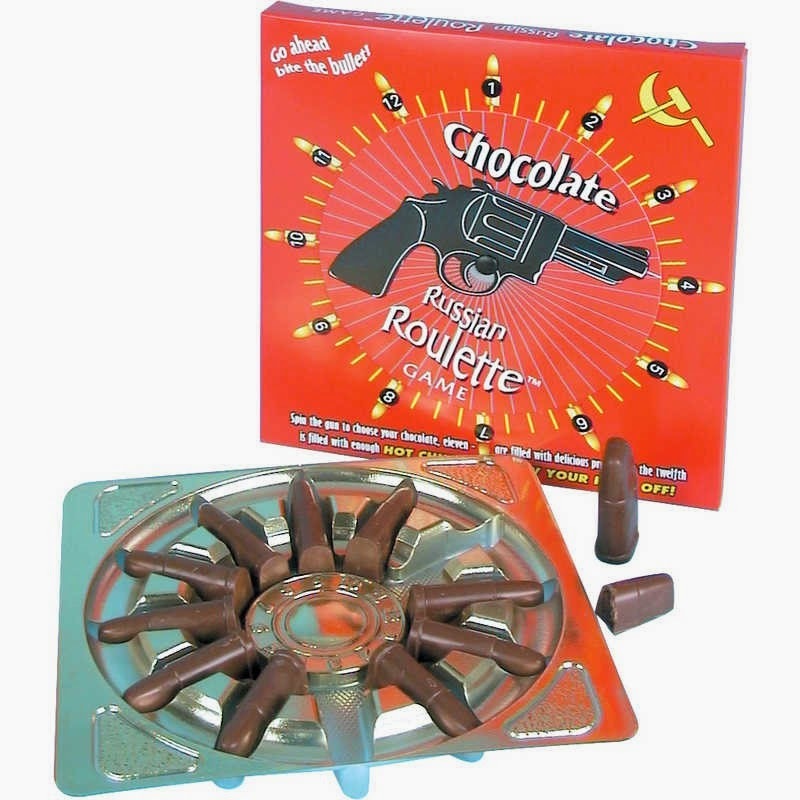 If you'd rather not stick to the standard box of chocolates, why not try a gift the Russian Roulette Chocolates (£6.00)? Eleven chocolates are praline but one is a powerful chilli chocolate. Fun and delicious at the same time! At Beauty @ Creightons you can find some great value items to pamper your mum. The Squeeky Clean beauty range which leaves you feeling fruity fresh and full of zest can be purchased from Poundland for, yes, just £1 each! You can choose from a Scrubaholic Face Scrub (100ml), Pore Pow Wow Face Mask (100ml), Movie Matte Photo Finish Moisturiser (100ml), Daisy Fresh Shower Detox (250ml), Body Better Body Lotion (200ml), Super Strong Nail & Cutie Cream (100ml), Glow Stopper Instant Tan Matte (100ml) and Saint or Shimmer Lotion (100ml). I love the vintage style labelling and they smell divine! 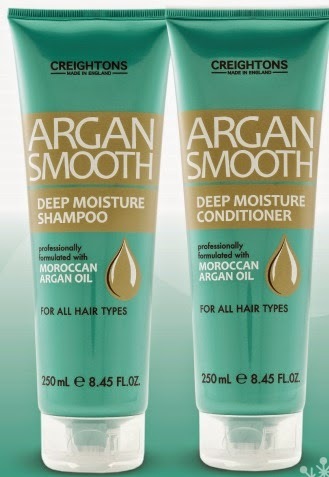 The Argan Smooth range has been specially formulated with Morrocan argan oil which is rich in anti-oxidants to nourish your hair and body. Each item in the range also costs just £1 and you can find them in Home Bargains or Poundland. You can choose from Deep Moisture Shampoo (250ml), Deep Moisture Conditioner (250ml), Handwash (500ml), Gradual Tan Body Lotion (100ml), Creamy Bath (500ml), Shower Gel (150ml), Body Cream (200ml) and Hand & Nail Cream (100ml). 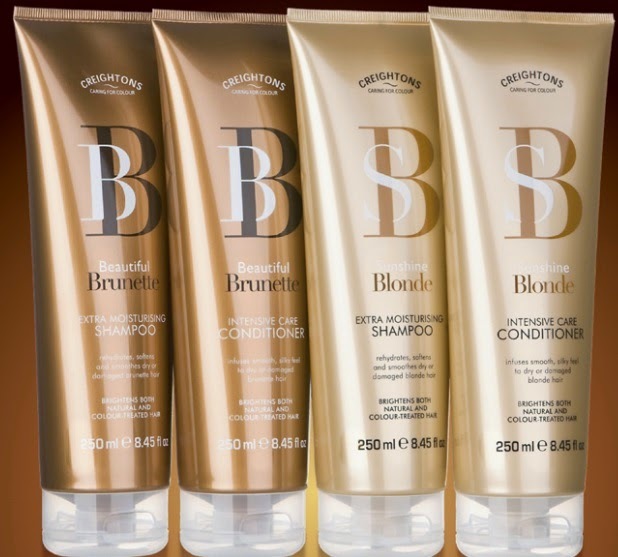 Finally, you can pick up the Beautiful Brunette and Beautiful Blonde shampoos and conditioners for £1 in Poundland too! They are formulated to improve manageability and combat colour change, dulling and dryness.